In a message to the officials of the Hamilton Lodge, I.O.O.F. on Thursday, April 1, the sad news was conveyed of the death at the family home, 3809 Bowser, Dallas, of the Hon. 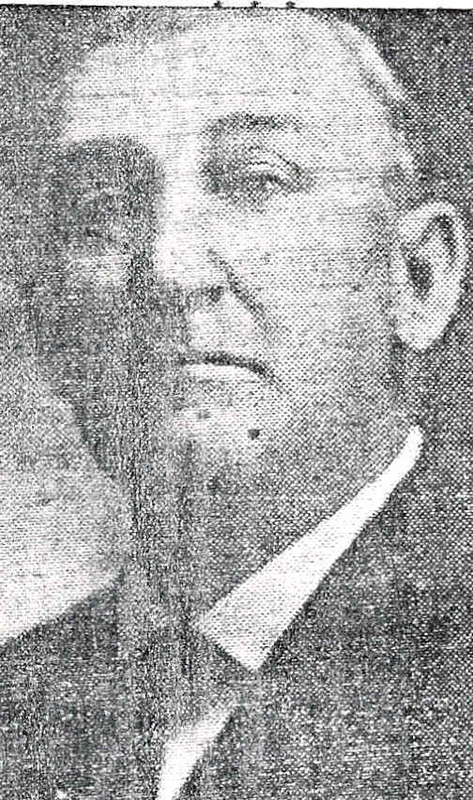 Edwin R. Misener, former eminent citizen of Hamilton and the county. Friends here, also the general public, had known of the ill health over a long period of time of the veteran Odd Fellow of distinguished service, but a number had received information that he had to a degree recovered. News of his death came, therefore, as a sorrowful shock. Mr. Misener was one of the most powerful influences in "putting Hamilton on the map" in Texas. In the manner of establishing and conducting his hotel, The Commercial was known far and wide, and resulted in much publicity of the town. As Grand Master of the Odd Fellows of Texas he lost no opportunity to exploit the splendid features of his hometown. As a businessman and citizen he was always at the forefront in publicizing Hamilton to the outside world. He was a generous contributor to all public enterprises in time and money, and gave his loyal support to all religious organizations, and was faithful, devout and staunch in his faith as a Missionary Baptist. He and his devoted wife reared their family here, and the Miseners have always been missed. The Herald-Record is appreciative of the privilege of giving to readers, especially the long time friends of the Hon. Edwin R. Misener, the following sketch of his life. Edwin R. Misener was born in Beloit, Wisconsin on August 22, 1859, coming to Texas while still in his early twenties with his brother, the late R. O. Misener. For a number of years he and his brother had a ranch about eight miles from Hamilton; later Mr. Misener entered the hotel business in Hamilton, moving to Dallas in 1922. He was married to Sarah Elizabeth Collett on August 25, 1886, and to their union six children were born, five of whom with their mother, survive, as follows: Richard E. Misener of Laredo, Texas; Miss Eleanor Misener of Dallas; Mrs. L. V. Reese of Washington, D.C.; Mrs. E. J. Massman of Los Angeles, California; Mrs. H. A. Brunson of San Antonio, Texas. Other survivors are seven grandchildren and one great grandchild. "Funeral services will be conducted for Edwin R. Misener, 77, veteran member of the Odd Fellows and resident of Dallas for the last fifteen years, at 10 a.m. Friday at the George A. Brewer Funeral Chapel. Dr. George W. Truett, pastor First Baptist Church, will officiate. Burial will be in Grove Hill Cemetery. Mr. Misener died at his home, 3809 Bower, Thursday morning after a long period of illness. During his long membership with the Odd Fellows order he was secretary of the Dallas Lodge and past grandmaster of the Odd Fellows of Texas. He was a member of the Masonic bodies, the Hella Shrine and the First Baptist Church. One of the acts as an Odd Fellow was the conferring the Odd Fellow friendship degree on Governor Allred in 1934 when he was Governor-elect." Through the death of Mr. Misener the Herald-Record has lost a valued friend, a man tried and true, and we extend to the bereaved loved ones heartfelt and understanding sympathy.